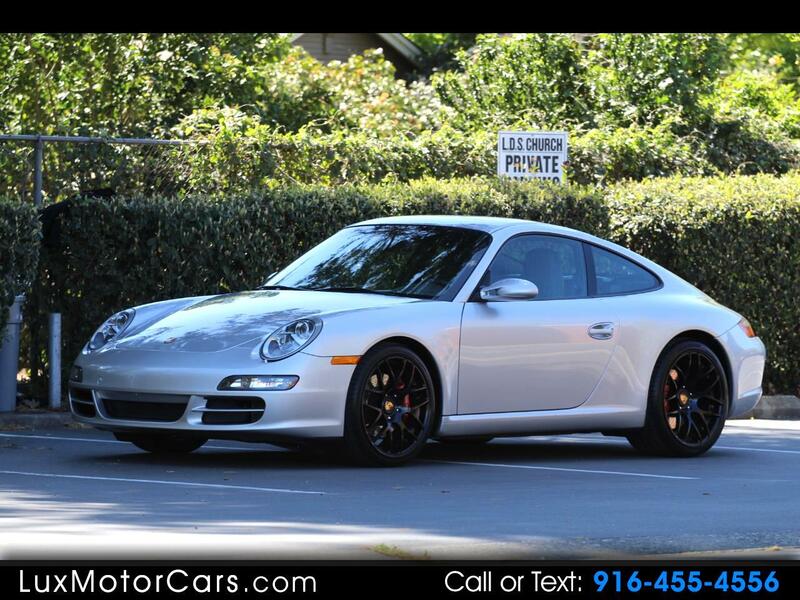 Here is your chance to own a VERY sought after 997 3-pedal Carrera S! This vehicle is finished in Arctic Silver over Stone Grey Leather with no record of accident or damage on the CARFAX report. The car shows no sign of ever having any paintwork, and all measurable panels are within factory depth specifications. The build sheet shows this 911 as being equipped the Sport Chrono Package Plus, Navigation, and the Power seat Package. This car is fresh out of it's 60k full service (done at 59,144 miles) from Mid-town Autoworks as well as having a brand new clutch and slave cylinder installed at the same time. Custom touches include: 19 inch VMR staggered wheels/ tires, clear bra installed on the front bumper, hood, headlights, and side mirrors, Fab Speed intake, and Borla exhaust.